Based upon the Tides Marine patented Type D system, the Tube System (TS) is another rudder system approach, which can be used effectively by FRP boat builders, or used for retrofits by boat yards. Using the supplied tooling, these Tube Systems can be installed during primary lay-up in the mold. 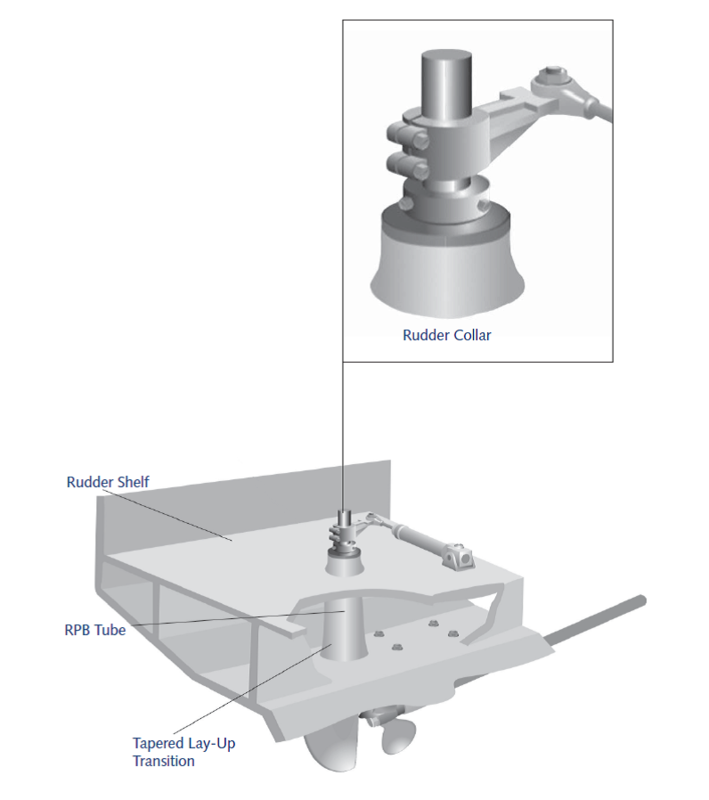 This system provides an economical way to accurately position the rudder time after time. As a retrofit, it eliminates the expense of replacing both the upper and lower rudder bearings. The system comes fully assembled with UHMW upper and lower bearings installed in an FRP tube with two lip seal at the top. A UHMW thrust washer is included. 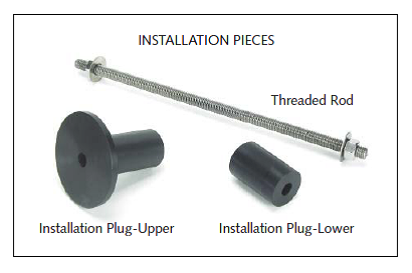 All that is necessary for ordering is the shaft size and the overall length of tube you need. 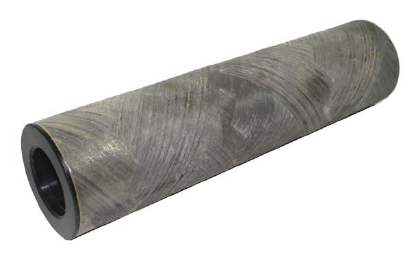 Tides Marine offers these rudder tubes using a variety of bearing materials to include UHMW, CIP Composite Material, Vesconite, etc. The procedure for modifying the mold and installing the Tube System before lay-up begins will differ slightly depending upon the type of hull being produced. The following represent the three most common variations. Type 1: Molds with an existing "flat" surface at the rudder port location, which will accept a standard FRP tube. 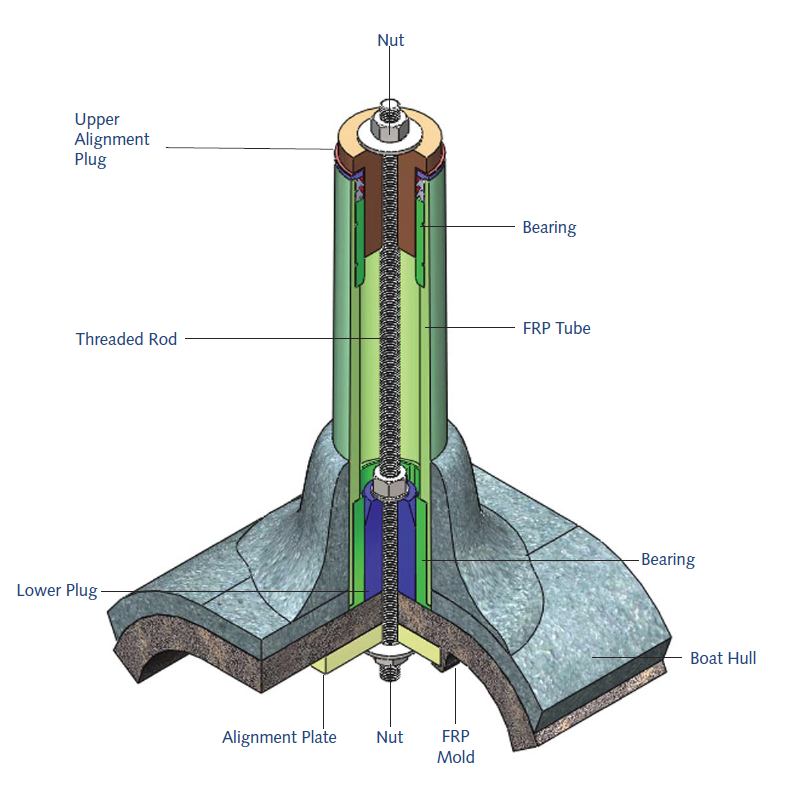 Type 2: Molds which require modification to achieve a "flat" surface or pocket to accept a standard FRP tube. Type 3: Molds which require modification to accept an FRP tube with an "angled base" designed to match the dead rise and rocker angles. Rudder Tube Systems may be ordered online.